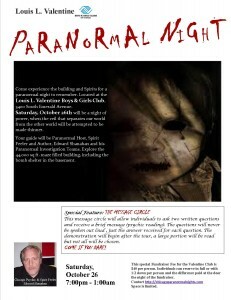 Chicago Paranormal Nights fundraiser on October 26th for a night of paranormal experiences at the huge haunted 44,000 ft Valentine's Chicago Boys and Girls club near White Sox Park. The night is a fundraiser for the club. Saturday October 26th, 2013 at 7:30pm will be a night of power, when the veil that separates our world from the other world will be attempted to be to be made thinner. Chicago Paranormal Night Experience for individuals Oct 26th 2013 at the Valentine's Chicago Boys and Girls Club, this is a fundraiser for the club. Documented as haunted and active. The Huge 44,000 sq ft. paranormal active building built in 1938 with 4 floors. Each floor is like a maze of hallways and rooms and people have lost their way around this haunted building. It is the home to friendly spirits and the paranormal activity others have experienced. 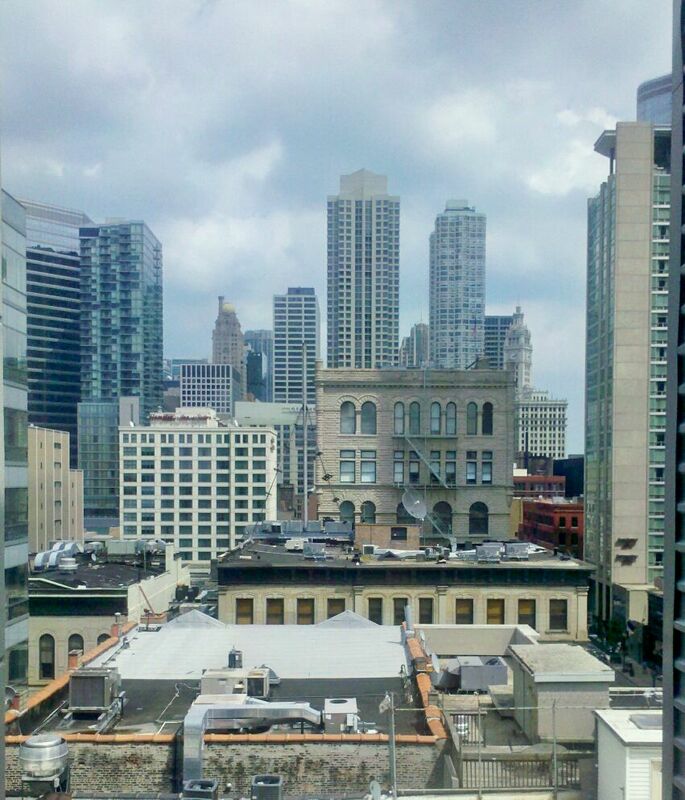 The largest haunted location in Chicago that you can explore. Located at 3400 S. Emerald Ave; Chicago, IL ( 1 block North of the White Sox baseball field).Paranormal Investigation Team: Extreme Vision Paranormal will be the team that will be assisting those individuals participating in this paranormal night. The night will end with Chicago Psychic and Paranormal Host Edward Shanahan performing his Circle of Energy Seance for those participating on this night.The paranormal night is limited to the amount of individuals participating. Edward Shanahan - 2012 Best Psychic in Chicago award winner.